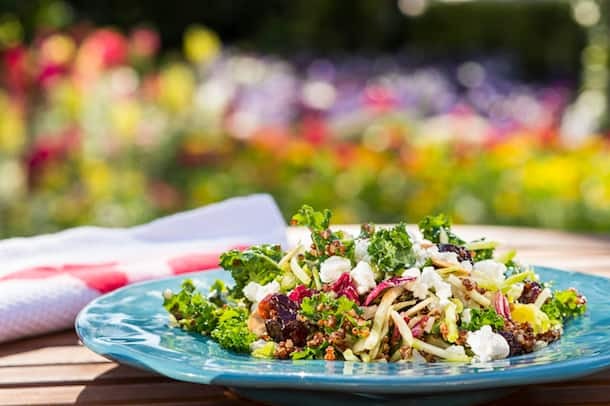 Debuting just in time for this year’s Epcot International Food & Wine Festival, the newest Epcot cookbook shares the best-of-the-best recipes, but also includes favorites from the 2016 Epcot International Flower & Garden Festival, which started adding its Outdoor Kitchens in 2013, now an integral part of the spring fest. Sharing food and drink is such a communal experience, and the circle around World Showcase Lagoon is the perfect place. The cookbook lets you take the memories home and recreate favorites with family and friends. Here are two of our favorites, one from each festival. The kale salad is a simple meal in a bowl, and the warm quesitos are super-easy and melt-in-your-mouth delectable. 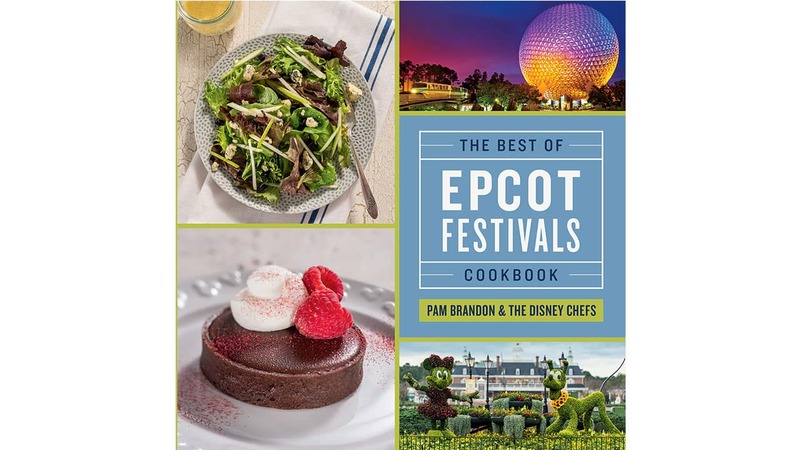 The cookbook will be for sale at the Festival Center, Festival Emporium, Festival Boutique, Mouse Gear, World Traveler, Gift Stop and other Epcot shops during and after the festival. And look for Epcot Culinary Director Gregg Hannon and myself at the Festival Center for a recipe demo and cookbook signing. Place shallots, vinegar and honey in blender or food processor. Blend on low and slowly add olive oil until blended. Season with salt and pepper. Toss salad with desired amount of white balsamic vinaigrette. Divide salad among plates and sprinkle with goat cheese and toasted almonds. Refrigerate any unused vinaigrette. Preheat oven to 400°F. Cut puff pastry sheet into 4 squares. Cut each square in half diagonally to make 8 triangles. Place 1 tablespoon of cream cheese, rolled into a log shape, in center of each triangle. Top with 1 teaspoon sugar. Take the two corners of the longest side of the triangle and meet in the middle. Pinch to seal. 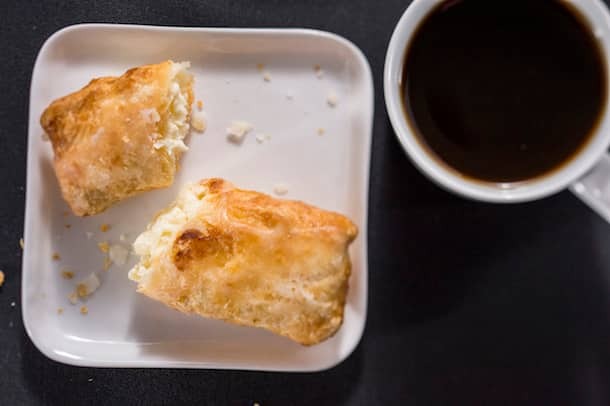 Roll pastry towards top of triangle, gently squeezing the middle to spread out cream cheese. Seal seam with a little water. Repeat with remaining puff pastry. Bake 12 minutes or until golden brown. Remove from oven and flip to allow caramelized sugar to drip. I love cooking, and I’ve gotten more interested in cooking more complex meals. I’m definitely going to pick up a Disney cook book when I go in November. Because the next best thing to being at WDW is enjoying a meal that reminds you of being there!! 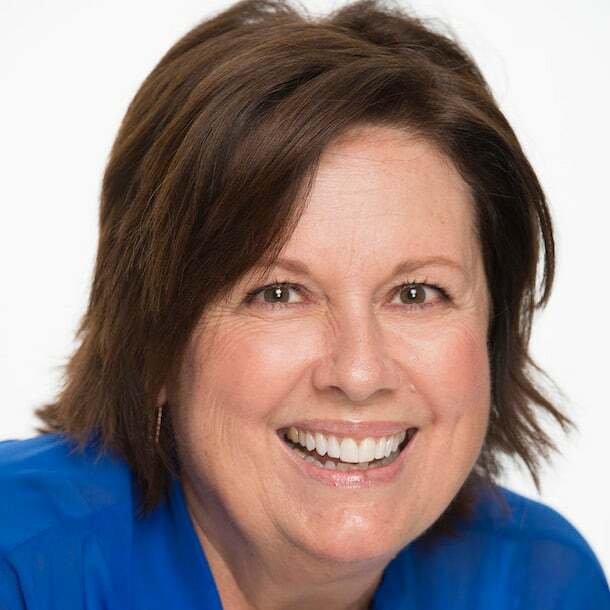 Pam – you always do such an amazing job on the cookbooks each year! It’s become a tradition for my Mom and me to each buy a copy and get you to sign it. Looking forward to seeing you again in November!!! 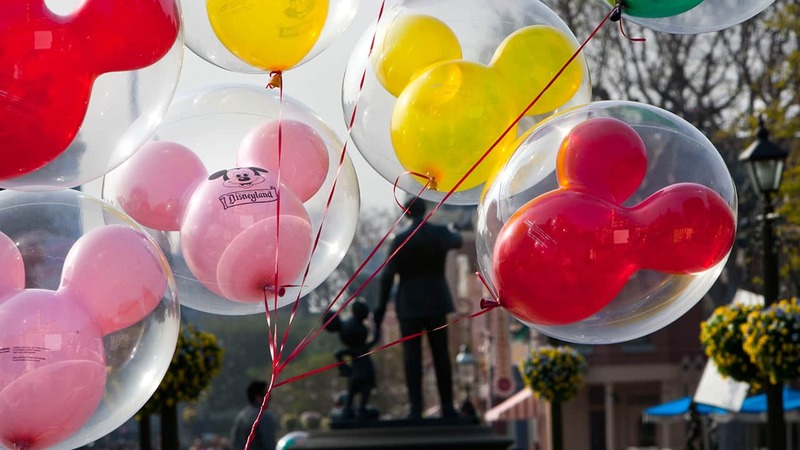 Are they going to only be available at Epcot or can they be bought online? Any chance of buying it on-line, for those of us sad souls not experiencing the magic in-person this year? Are they going to be offering the premium package for F&W this year? I have not heard either way.